The titans were creatures living long before the creation of man, according to Greek mythology. Their stories have inspired many artists since ancient times, allowing their names and likenesses to survive the millennia, and to make their way into our modern world – at least as characters in a series of video games. The latest games to feature the titans have been released last month by veteran developer Microgaming. They are a pair of video slot machines called Titans of the Sun, available at Euro Palace. So who are these titans, anyway? According to the earliest Greek myths, the titans were the children of Gaia (Mother Earth) and Uranus (The Heavens). They were giant gods of incredible strength, ruling the world during the Golden Age. Initially there were 12 of them. They sired a second generation of deities, younger gods who have later become the Olympians. The games called Titans of the Sun were inspired by two of them: Hyperion and Theia, brothers, lovers and parents of Helios, the Greek god of the Sun. 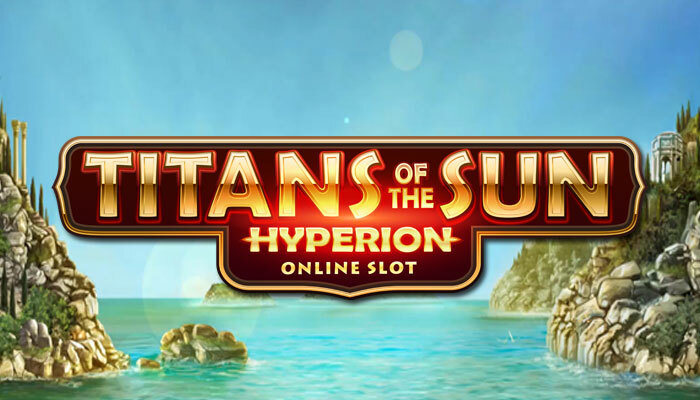 Titans of the Sun is a twin release of video slot machines available at the Euro Palace online casino. The game has two versions – one featuring Hyperion, a golden Titan looking like a Greek god (that he is), the other featuring the angelically beautiful Titanesse Theia. Otherwise the games are the same, offering the exact same functionality and features to Euro Palace players. The games have five reels, three rows and 15 win lines. Their background depicts a view similar to the Acropolis, and the symbols on their reels are also fit to their theme. The highest paying symbol depicts the Titans themselves. Other symbols include the Flaming Stallion (possibly an avatar of Hyperion) and the Firebird (Theia), joined by the Sun, which has a special role in the game: it can transform into any of the other symbols, improving the players’ chances to form winning combinations. A special symbol depicting the two Titans is also present on the reels, with a special role – when three or more of this symbol land on the screen, the game switches into Free Spins mode, offering players a more consistent set of wins. Founded in 2010, Euro Palace is one of the latest additions to the Fortune Lounge group. It offers its players high quality, secure gaming services and a collection of over 600 games to play with. The game collection at the Euro Palace can be played free or for real money. Real money players can redeem a series of consistent benefits, and participate in amazing promotions month after month. «Need to fix your coffee machine?